Manufactured by North (previously Thalmic Labs), Focals are $999 smartglasses featuring Alexa and Uber app integration. 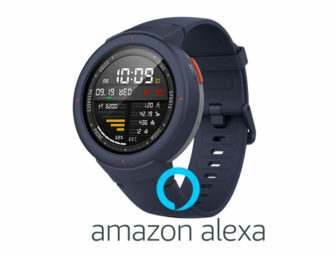 Focals are advertised as..
Amazon today introduced Alexa skill activation metrics so developers can track how often users enable their skills and success rates..
Two days ago Qualcomm announced the release of the ‘Qualcomm Smart Headset Platform’, a Bluetooth Smart Headset reference design featuring..
Amazon announced yesterday in a blog post that it was opening up Alexa for Business integration to device makers. Alexa..
Amazon announced earlier today that Alexa-enabled products—including the Echo line of smart speakers and third-party devices such as Sonos One..
Amazon is rolling out a new Voice Ratings feature that offers Alexa skill users the opportunity to submit a star..
Sonos to Add Roku’s Entertainment Assistant? Why It Makes Sense. Anonymously reported to CNET, Sonos and Roku may be discussing a collaboration to bring Roku’s unreleased Entertainment Assistant to Sonos..
Strategy Analytics is out with new data today that shows Amazon Echo and not the Echo Dot is the most..